oin us for this engaging session to help you and your team gain an understanding of and insights into human behavior. This will help you to be more effective in working with patients, co-workers and others in the medical community. Enhance your ability to communicate more effectively by understanding another's point of view. Learn how various personality styles can cause people to respond in different ways. 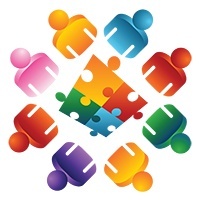 Identify and value the individual strengths of all personality styles. Bonnesen received his Master's Degree of Physical Therapy from the Mayo Clinic in 1991. He has obtained his Doctorate in Physical Therapy with Regis University in Denver CO in 2013. He is an adjunct faculty at the Wichita State Physical Therapy program for the past 10 years where he teaches the people side of medicine. He also helps KU Med with their rural medical educational department teaching at conferences regarding musculoskeletal rehab. He studied in Atlanta and is a consultant with Personality Insights teaching MD's, nurses, therapists and other healthcare personnel on how to understand their own and others strengths and motivations. He is a member of the American Physical Therapy Association and the Orthopedic section of the APTA. He specializes in orthopedic rehab and particularly enjoys spine and lower extremity injuries. Please do not respond to this e-mail with any questions concerning your medical condition, billing, or any other information that you may not want someone other than us to read. Just give us a call 316.558.8808.